Q. My son is in first grade and his handwriting is barely legible. Many of the other boys seem to have similar problems. Is this normal? Tara Delaney: I hear this a lot, especially related to boys. My son is also in first grade and handwriting has not been one of his strengths. I have to remind myself–and many parents of young boys–that it is not unusual for boys to struggle more than girls with handwriting. Fine motor skills develop earlier in girls than in boys–sometimes up to five years earlier–and these skills are integral to the development of handwriting, as well as arts and crafts, which is another areas that girls tend to master before boys. 2) Visual Perception Skills: This is the brain’s ability to make sense out of the visual information our eyes receive. One visual perception skill is visual discrimination, which allows us to differentiate a B from an D or P.
3) Visual Motor Integration: This is the ability to take in visual information and then match or respond to it motorically. Eye-hand coordination is an excellent example of this ability, as is being able to see a drawing of a house in a book and then copy it on a piece of paper. 4) Postural Stability and Upper Body Strength: Although separate, these skills are dependent on each other. Postural stability is the ability to maintain upright posture or a stable posture that best allows the arms and legs to move in a coordinated way. Upper body strength is crucial because shoulder and upper arm stability are necessary to maintain control while your hands and fingers do the more intricate manipulation. 5) Sensory Integration: This is critical for all of the activities that children engage in at the more integrated level for the nervous system, such as writing, reading, and sports. Tactile and proprioceptive processing are key to good handwriting as is visual processing. As you can see, that’s quite a list of pre-requisites! Difficulty in producing legible handwriting could be related to immaturity of the nervous system or to other body-related issues such as poor posture or poor pencil grip. More complex issues could entail dysgraphia, the inability to write coherently, which is caused by motor difficulties or visual-perceptual problems. Children who are referred to occupational therapy for poor handwriting are usually those who show no improvement over time and manifest some sensory processing difficulties. 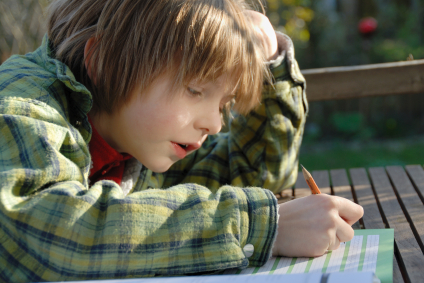 If a child has a developmental disorder that results in decreased muscle tone or motor coordination issues, he will also struggle with handwriting. So alternative means of getting their ideas into written form should be considered, such as the use of an iPad or computer. Maturity of the nervous systems plays a significant role in early handwriting development, because the nervous system continues to mature throughout childhood and some, more complicated skills, take longer to learn. You will often see significant improvement in handwriting as a child matures, which seems to be almost miraculous, but is nothing more than the nervous system developing in a way that enables the muscles to be controlled sufficiently in order to make legible handwriting possible. Build Strength: There’s a rule in child development: Gross motor muscles first then fine. So focus on improving muscle strength in the trunk, shoulder girdle, and arms by encouraging activities that involve the upper extremities, such as rock-climbing, swimming, and crawling. Start Big Again: If your child is struggling to write small letters on small lines on a piece of paper, have him write big letters using finger paints on an easel or using chalk on the sidewalk. Go Vertical: Use an easel or simply tape a large sheet of paper on the wall and have him work on writing. This is a great way to promote postural stability, shoulder girdle strength, and wrist stability/strength. It also promotes a natural position for the wrist as well as a natural grip. Writing vertically forces the hand and wrist into a more functional position that is actually more comfortable. Make it Matter: Create “fun and functional” activities that promote hand and wrist strengthening and grip. For example, make him the official jar opener in the house! Tara Delaney is a nationally known child development expert who specializes in sensory processing, autism spectrum disorders, and social/behavioral issues. She is the author of two books: The Sensory Processing Disorder Answer Book (Sourcebooks) and 101 Games and Activities for Children with Autism, Asperger’s and Sensory Processing Disorders (McGraw-Hill). An active occupational therapist, Tara is also the Founder/Executive Director of Baby Steps Therapy, a nonprofit clinical practice focused on helping every child achieve his or her greatest potential in the classroom and beyond. 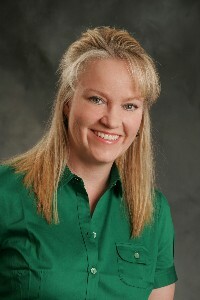 Visit her web site at www.taradelaney.com. What does barely legible mean? Unless you’ve trained your son before, the first grade is where he’ll learn writing … it just takes practice. Now the adults with barely legible scratch are a different matter If he gets to grade 2 or 3 and still can’t write at all then you have a problem. Tara is right about looking for improvement over time.